This is the sixth in a series of daily posts about how the American Philatelic Research Library serves the philatelic community as we celebrate National Library Week. The library provides access to a growing collection of digital resources. Compared to print resources, these can provide increased access as well as increased functionality like search and zoom. Some of these are print resources digitized by the APRL. There are currently three books digitized by the APRL available for sale on CD or DVD in the APS Digital Publications Shop, and more available for download through our online catalog. 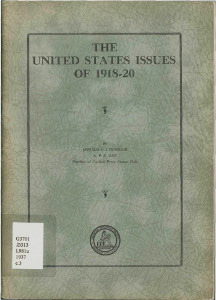 For an example, look up Donald Lybarger’s The United States Issues of 1918-1920. Others have been donated by members, including many scans of exhibits as well as government documents scanned at other libraries and from personal collections. Gary Loew and Chet Smith have made large contributions of U.S. Post Office Department publications and we are working on getting all of these online. Still others, including exhibits, e-books, digitized journals, indexes, and more, are available for loan on CD- or DVD-ROM. These can be searched and requested from the library just like books. And many more publications of philatelic interest are available online from other sources. Whenever we find these, we add links to our catalog records. 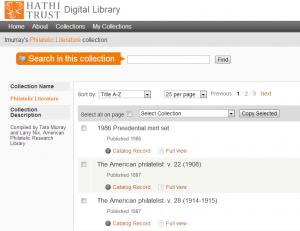 You can also search for publications on Google Books, the Internet Archive, and the Hathi Trust. The Hathi Trust site allows users to register and create a list of publications. 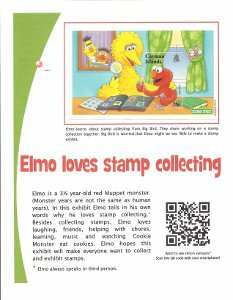 My co-blogger Larry Nix and I have been adding publications to a list called Philatelic Literature. We continue to build our digital collections through scanning, donation, and searching other libraries and archives for relevant content. You can browse our catalog records with digital content using the link in the right sidebar of the Philatelic Union Catalog. If you are an author, publisher, or exhibitor and would like to help us by contributing content you own the copyright to, please contact me.